Chocolate lovers!! Look what we found for you on Amazon! 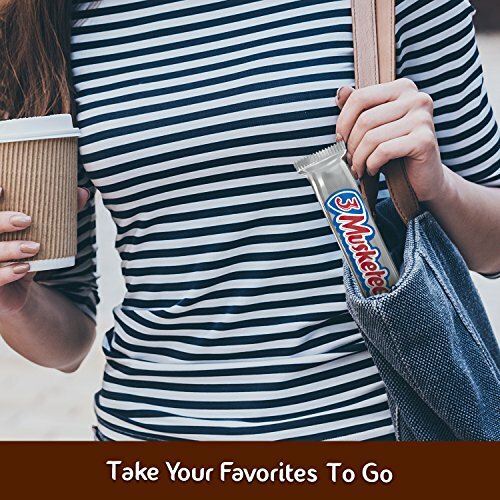 Hurry and get the SNICKERS, TWIX, 3 MUSKETEERS & MILKY WAY Full Size Bars Variety Mix, 18-Count Box today for as low as $8.29 from Amazon when you clip the 15% off coupon & choose Subscribe & Save with at least 5 subscriptions in one month. = 46¢ per candy bar! Check out all of the recent Amazon deals here! Want it sooner? You can still clip the coupon. There is a minimum 2 box purchase. Amazon Prime members get FREE 2-day shipping!! If you are not a Prime member, get FREE shipping when you purchase $25 or more of eligible items across any product category. Buy the SNICKERS, TWIX, 3 MUSKETEERS & MILKY WAY Full Size Bars Variety Mix, 18-Count Box from Amazon. Previous article*HURRY* Quaker Life Breakfast Cereal Variety Pack (4 Boxes) Deal!